Some people check their phone or apply makeup while at a stop light in a car. In the car at a stop each person in the car selects the most interesting color from the cars around you. 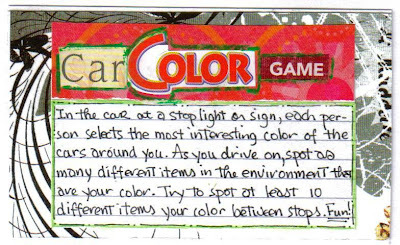 As you drive on, spot as many different items or types of materials in the environment that color. 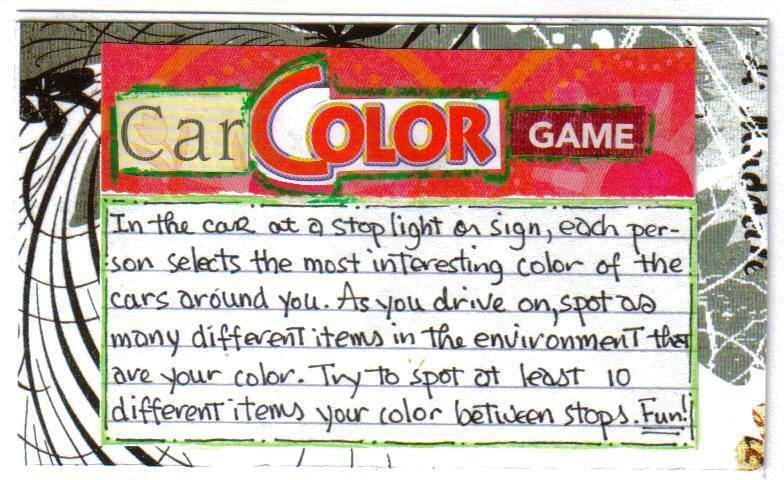 Try to spot at least 10 different items for your color between stops. It won't be difficult! in your environment when you play this car game. You'll be pleasantly surprised at the different ways your color will appear. "Fifty States License Plate Game"
and get a thrill when I spot a new state license plate! I also put down the date spotted. 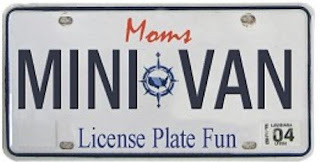 ~Cheryl Gee looks forward to going to work or errands each day and not just to play "The Car Color Game" and "Fifty States License Plate Game." (True story!) Do you have a creative car game? ~This bit of car creativity is shared at Artsyville Glue It Tuesday. Cruise on over there for what others are sharing!